Edinburgh is a destination in its own right. But once you arrive and get a feel for what lies in the surrounding area, you’ll see it makes a great base for other day trips too. As the city is so well connected, trains can take you near and far to see all the greatest sights Scotland has to offer. Though you can - and should - enjoy a full holiday in Scotland, if you are short on time and want to squeeze as much as you can into your stay at Jurys Inn Edinburgh, there are a handful of attractions close-by that we think you'll really love. Just an hour and 20 minutes away by train, taking you over Forth Rail Bridge, St Andrews is best known for students, golf and its royal connections. It also happens to be the perfect destination for a day trip. Start your day early with a walk up to the top of St Rules Tower. 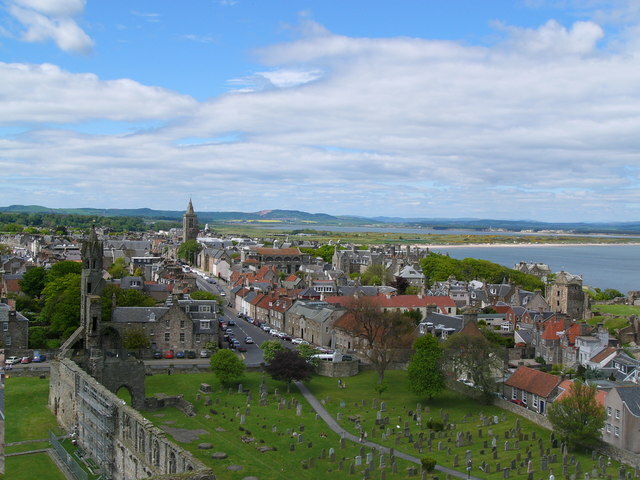 The tower is on the same site as St Andrews Cathedral and is included in the ticket price but is not technically part of the church. It was built 40 years before as part of another church that once stood on the site. There are 156 steps to the top, but it’s well worth the effort for the views you’ll get up there. There are lots of lovely little cafes to get lunch including Cafe in the Square on Church Street which does all the usual brunch favourites. Alternatively, if you are looking for something simple with a fantastic view, head for Harbour Cafe with its outdoor seating - just watch out for the cheeky seagulls! A walk all the way along the beach to the point takes around 30 minutes and is the perfect way to end the day. If you fancy a snack, drop into Janetta’s Gelateria on the way through town. Here, authentic Italian gelato meets Scottish stereotype with an unfathomable Irn-Bru flavour that you simply have to try. Don’t worry if that’s not your thing, chocolate and more traditional sorbets are still on offer! Falkirk is just 30 minutes away, but feels like a different world to Edinburgh. 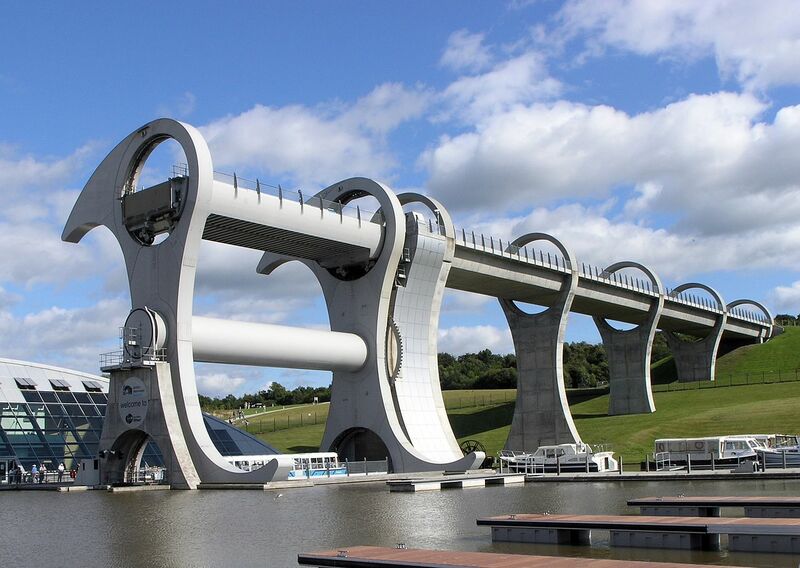 An enormous structure that lies somewhere between a log flume and a Ferris wheel, the Falkirk Wheel just happens to be the world’s only rotating boat lift. You won’t be able to resist a boat ride here, and in spite of the obvious heft behind the mechanics, it appears as though this is a natural and seamless transition. Once you’ve taken in the spectacle of the wheel, there are other water-based activities to try; including waterzorbing and peddle boats, or canoe hire to take you down the canal to see the Kelpies. The world’s largest equine sculptures, the Kelpies are high up on the list of must-see cultural landmarks in Scotland. The horses’ heads are heralds to the changing landscape around us and though they are huge in size, they are also incredibly intricate. After all this excitement, you’ll be pleased to find out that Falkirk is the home of plenty of award winning restaurants, all waiting to welcome you in. Cake lovers should make a bee line for Tea Jenny’s; if Italiano is your amore, Amodo Mio is the place for you; a good curry is always a must in Sanam Tandoori. On the same railway line as Falkirk, Stirling is just over an hour away and is considered the gateway to the highlands. 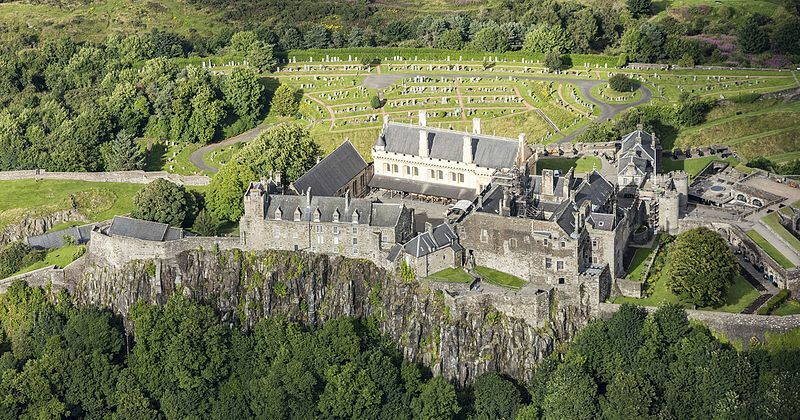 Surrounded by magnificent scenery and spectacular views, Stirling Castle is an ideal place to soak in the atmosphere and step back in time to the 16th century. Take a tour with characters from the era and learn all about the history of the Kings, Queens and nobility who once came to stay here. There are plenty of activities for kids to get stuck into as well, including dressing up and having a go on various medieval instruments. If you are in the mood for a walk, Abbey Craig, with the Wallace Monument at the top, is a lovely route to take. This location was once used by 13th century Scottish hero, William Wallace, ahead of the Battle of Stirling Bridge and is the reluctant home of his controversial statue. Now home to roe deer and a wide variety of trees, plants and birds, the walk offers a peaceful retreat into nature. When you get peckish, The Birds and Bees is a popular little cafe not far from Abbey Craig. It’s well known for serving prime cuts of Aberdeen Angus beef and offering dishes that are even more Scottish than that – chicken ecosse served on a bed of haggis with a whiskey and bacon sauce, anyone? Though the skiing conditions in Scotland are not quite as reliable as the alps; when the snow is right, they offer a magical winter wonderland that’s just perfect for a day out. Unfortunately, it’s difficult to predict when these days will be. But if you happen to be in Edinburgh and the snow is falling, Glenshee Ski Centre is just a 2-hour drive away, while the Cairngorm Mountains are just under 3-hours’ drive away. If you are visiting in the summer months, this is the perfect time to explore the National Park via its cycling trails. There are routes for road cycling or mountain biking, and both offer some stunning scenery along the way. 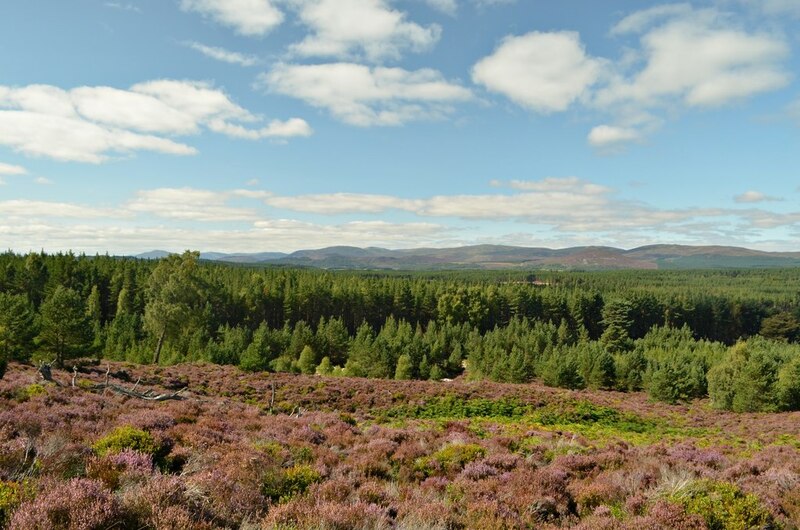 The route between Aboyne and Ballater is great for a gentle ride suitable for everyone. It takes around 3 hours to drive between Edinburgh and Aboyne though, so this will certainly be a long day out. Perhaps best known from the film The Da Vinci Code, Rosslyn Chapel is well worth the visit, even if it isn’t really the home of the holy grail. Built in 1446 by William St Clair, 3rd Prince of Orkney, weekly services are still held here today and has been visited by a host of big names over the years; including the poet Robert Burns, William Wordsworth and even Queen Victoria herself. While you are here, you really must see Roslin Glen, home to the largest surviving stretch of ancient woodland in Midlothian and a tranquil spot for those of a poetic disposition. Roslin Castle is also a stone’s throw away and though the remains of the castle are only available as accommodation through the Landmark Trust, you can still see the ruins at your leisure. 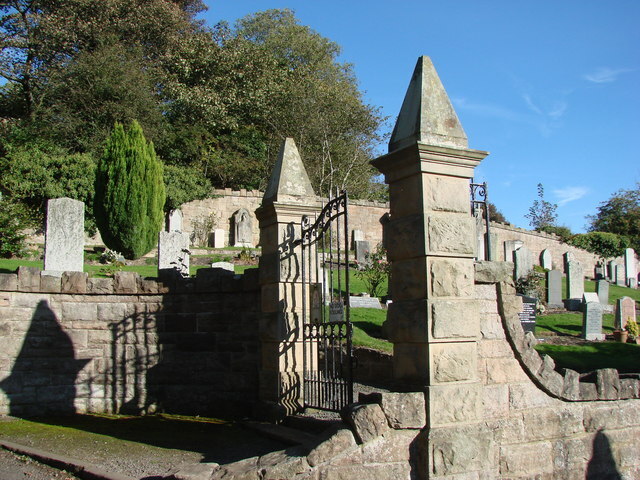 Roslin is only small so there isn’t much in the way of cafes or restaurants, but if the weather is nice, there’s no reason that you couldn’t take a picnic with you. Alternatively, since it is so close to Edinburgh, you could just spend the afternoon here and then come back to eat. With so much to do just a short train journey away, we think you will have a fantastic time getting to know Scotland a bit better.